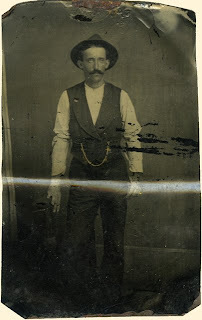 A jaunty hat, a fine mustache, and an impressive gold watchchain were not enough to keep this poor gentleman's tintype from being attacked. Some barelipped hooligans folded it in half, most likely in a fit of extreme jealousy. This blog never, ever fails to make me laugh. and such finery! a double-breasted vest, no less! تقدم شركتنا شركة تنظيف المنازل بجدة مجموعه من النصائح للحفاظ على نظافه المنزل . 1 – عند تعرض السجاد لاى نوع من البقع وخاصه البقع المستعصيه يتم خلط الخل مع الليمون والملح وصودا الخبز ويوضع الخليط على البقعه بضع دقائق ثم يتم تنظيف البقعه بالفرشاة بحركة دائريه .